Pulitzer Prize winning author Harper Lee attended the Department's International Graduates' Summer School in 1948, 12 years before 'To Kill a Mockingbird' was published. We estimate that around 100,000 students have attended Department for Continuing Education's summer schools since the 'summer meetings' began in 1888. Given these numbers, it's no stretch to imagine that some of these students came from (or went on to) celebrated careers. Vera Brittain, who attended our summer school in 1913 before being accepted as a full time student at Somerville in 1915, is a notable example. Still, it was news to us when the BBC contacted us in 2015 and told us that Harper Lee had spent six weeks on our International Graduates Summer School in 1948. Harper Lee came to us when she was at something of a crossroads in her life. In 1948, Lee was enrolled in law school in Alabama. Her older sister Alice was a lawyer; her father was a lawyer. But Lee wasn't enjoying her studies. Her father came up with a plan to focus Lee's mind. "By spring of 1948, it was obvious to Mr Lee that his youngest daughter wasn't showing anywhere near the same enthusiasm about practicing law that Alice had. So he agreed to provide an incentive - one that would acknowledge Nelle's love of literature. Perhaps, he reasoned, she should have an experience that showed what a well-paying career like practicing law could provide, including the means to travel and write on the side. On April 29 1948, the Monroe Journal announced, "Miss Nelle Lee, University of Alabama law student and daughter of Mr and Mrs AC Lee of Monroeville, has been accepted as an exchange student at Oxford University in England during the coming summer. She will sail from New York on June 16." Harper Lee joined a student cohort of 296 participants. 180 of them came from the USA, and the rest from other mainly European countries, with 28 nationalities represented. 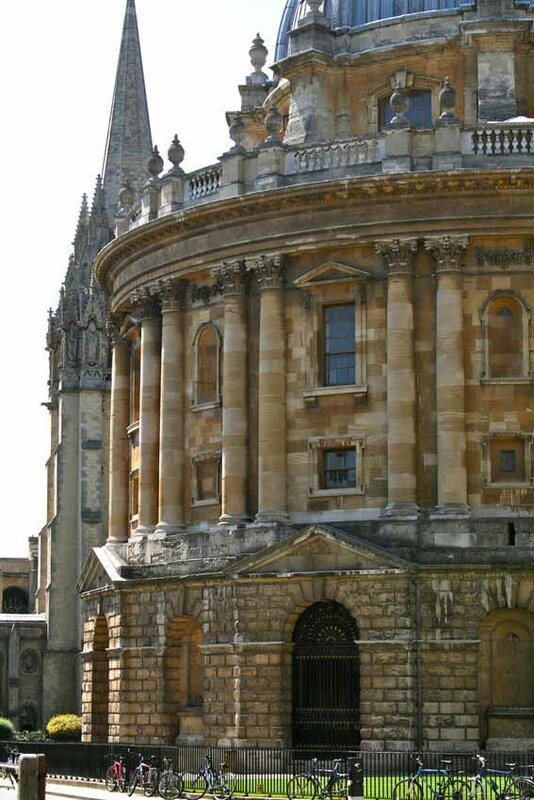 What would Lee's experience of Oxford have been like? The 1948 summer school featured some Oxford notables. The Director of Studies for Literature was Miss Helen Gardner (later Dame Helen Gardner), the first woman to hold the post of Merton Professor of English Literature at Oxford; the Director of Studies for philosophy was Isaiah Berlin. Professor CM Bowra, a noted classicist and Professor of Poetry at Oxford and Warden of Wadham College, headed up the summer school. The six-week programme Lee attended consisted of 13 general lectures which all students were expected to attend, plus 18 lectures in each of the four faculties - Literature, Politics, Economics and Philosophy. Books were provided by the Department (which, in those days, was known as the 'Delegacy of Extra-Mural Studies') and numerous libraries opened their facilities to the students, including the Bodleian, the Taylorian, the Codrington, Nuffield College, the Institute of Statistics, Pusey House, the Institute of Colonial Studies, the City Library and the County Library. Lecturers were drawn from Oxford, Cambridge and many other universities, and there were 42 tutors on hand. The Department's Annual Report from that year, states that "the American students...in particular appreciated getting a far greater degree of individual attention in seminars than they were used to in the USA." In the eyes of her father, Harper Lee's 'summer abroad' experience - the one that that was meant to get literature out of her system so that she would concentrate on her law studies - would have been seen as a massive failure. Harper Lee returned to Alabama after her Oxford summer, and immediately dropped out of law school. She moved to New York City. And there, encouraged by her childhood friend Truman Capote and others, she began to write. Harper Lee's law career never got off the ground; but it's clear that her writing career found something of a springboard during her six weeks with us in Oxford. Taught by some of the University's best scholars, availing herself of Oxford's libraries and marvelling at its centuries-old environs, Lee glimpsed a bright and promising world of letters and literature that she could not bear to leave behind - thankfully. To Kill a Mockingbird was published in 1960, twelve years after Harper Lee's Oxford summer. It was her only book - until July 2015, when the publication of her earlier unpublished novel Go Set a Watchman was released. We at the Department for Continuing Education can't reasonably expect all of our summer students to go forth and win the Pulitzer and other prizes – but we do very much hope that an Oxford summer provides all of our students with the sort of inspiration Harper Lee experienced.